Aluminum rocket. The HTC One is the latest high-end smartphone from the Taiwanese manufacturer. A swift Qualcomm Snapdragon 600 Quad-Core-SoC, stereo speakers, a 4.7-inch display with 1080x1920 pixels and the latest software packed in a high-quality aluminum unibody. The new king of smartphones for 680 Euros (~$878)? HTC has pulled off a blinder with the HTC One. It’s a gorgeous phone with a beautiful screen, and we think it's a more desirable handset than the Sony Xperia Z. Given you can move BlinkFeed out of view, the HTC should appeal to everyone. It will be especially tempting to those who crave the low-light capabilities of its camera. Its metal chassis is also a big selling point - and one, based on past models, that is unlikely to appear on the Samsung Galaxy S4. As we said, this is the best HTC phone ever, without a doubt. But we'll go one better than that: it's the best phone on the market full stop. The Samsung Galaxy S4 isn't far behind at all with its stunning screen and rich detail, but for sheer level of functionality, innovation and just overall effect it has in the hand, we can't help but recommend the HTC One to anyone looking to buy a new smartphone. So whether it's the Ultrapixel camera that extends the range of photos you can take, or the moving photos on offer, or simply the improved speakers bolted on the front (as long as you don't play them on public transport) the HTC One takes the best the smartphone market has to offer and just makes it better. The HTC One is up there with the very best smartphones on the market today. It has superb performance, and excellent build quality spoiled only slightly by running hot in use. You can't fault the feature set, and it matches the other high-end products in terms of price. In terms of audio and visual output it is unsurpassed. The interface might be an acquired taste for some, and we weren't overly impressed with the camera. It's not perfect, but alongside the Xperia Z and iPhone 5 this is about as good a phone as you can buy. It’s no secret that HTC are trying very hard to regain market share from Samsung after a steady decline over the past few years. There is no doubt in our minds that the One is the best phone that HTC have released in some time as it cannot really be faulted. The only drawback of the HTC One is the lack of expandable storage. The 32 GB version may not provide enough space for some users and the 64 GB version carries a heavy price premium. Camera performance was very good though, despite the low resolution sensor. The HTC One blends an unmatched premium design for Android phones with impressive performance, a beautiful 1080p display and rich, front-mounted speakers. HTC Sense 5.0, with its Blinkfeed feature, adds flavor to the stock Android OS. And while Samsung's TouchWiz software offers more features, Sense has a cleaner look and feel and suffers from less lag. With the iPhone 5 and HTC One neck and neck in so many areas it's almost impossible to choose an outright winner. You get a little more for your money with the HTC One in storage, connectivity and screen. However, the ultimate decision is whether you want iOS or Android. 90% HTC One review: is this the best high-end Android smartphone? As we said, this is the best HTC phone ever, without a doubt. But we'll go one better than that: it's the best phone on the market full stop. The Samsung Galaxy S4 isn't far behind at all with its stunning screen and rich detail, but for sheer level of functionality, innovation and just overall effect it has in the hand, we can't help but recommend the HTC One to anyone looking to buy a new smartphone. The Galaxy S4 is sleeker, the iPhone 5 is, well, Apple-ier, and the Nexus 4 is cheaper. 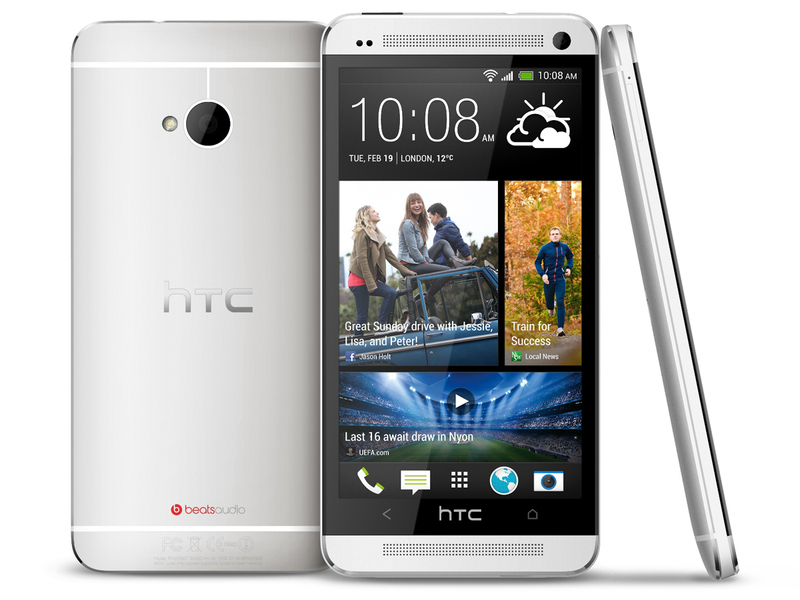 But for the overall package of smartphone design and functionality, the HTC One stands head and shoulders above the rest. HTC was the first company to embrace Android, but it’s had a tough couple of years. The HTC One is currently the world’s best smartphone. It’s got the best design, specification and screen so, if you’re in the market for a high-end handset, this is the phone to buy. With a premium metal design, captivating 1080p display and speedy quad-core processor, you'd be hard pressed to find a superior smartphone than the HTC One. Although T-Mobile's LTE network is still rolling out, you'll be paying considerably less than other carriers. There aren't many smartphone shoppers willing to pay $599 up front for a device, but if you want the pure Google experience, the HTC One Google Play Edition is an excellent choice. You get the same beautiful craftsmanship, gorgeous display and outstanding sound quality found on the standard version of the One, along with an unadulterated Android experience. Despite a few caveats when considered as a package the HTC One looks impressive, is fast and easy to use. However the HTC One is unlikely to get even close to selling as many units as the juggernaut Galaxy S4 aided by Samsung’s massive marketing spend. On balance, the HTC One justifies that premium. The loss of expandable storage is a blow, but there’s little else amiss: it’s a stylish and highly capable all-rounder. HTC needed to come out fighting with its latest handset, and it’s done so with gusto: the One is the finest smartphone money can buy at the time of writing. The only serious competitor on the horizon is the Samsung Galaxy S4, which had been announced but hadn’t officially launched when we went to print. For now at least, HTC has a real winner on its hands, but one wonders if it can translate this into a real comeback. If you've been eyeing the HTC One as your next smartphone, it's safe to say that T-Mobile offers a very compelling option. By and large, the handset is a faithful interpretation of the original, which is all the more reason to fall in love. Unique to T-Mobile's version is LTE support for both T-Mobile and AT&T, which makes it the One to get if you're interested in its flexibility as an unlocked smartphone. When you pick up the HTC One, you instantly get the sense that this is a high-end phone with plenty to offer. The One’s outer shell aesthetically pleasing and gives the phone a high-end look. It’s also solid thanks to its full-metal unibody design. This design adds a bit of weight to the phone, but it’s a tradeoff we suspect many users will tolerate. 91.41%: No existen muchos modelos que sean evaluados mejor. La mayoría de las evaluaciones obtienen resultados que son un poco peores.